I like to show you how your dies can be used for all sorts of home decor items. 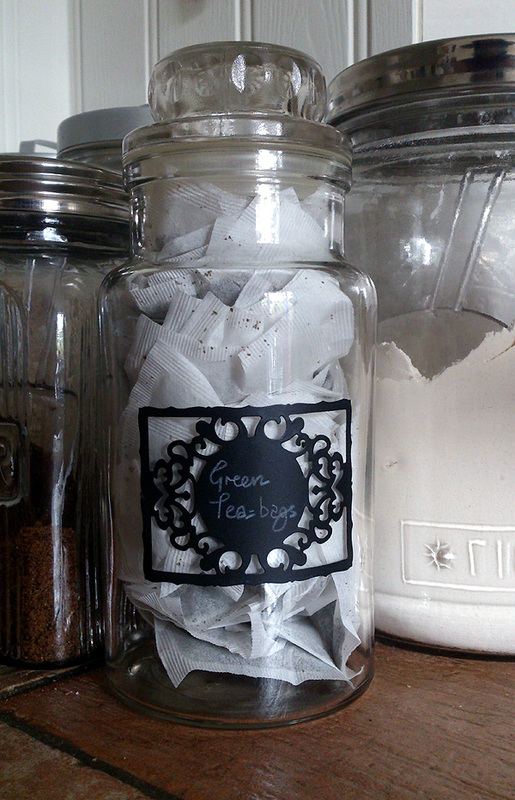 One thing I like to do is to make Chalkboard labels for my storage jars. This die that I have used from one of the latest sets makes a beautiful label don't you think? Rolls of chalkboard vinyl can be found on Ebay. Why not get labelling! !